I love exploring my city late at night to look for food. In a way, I believe that in any city in the world some of the best local food comes past your bedtime. 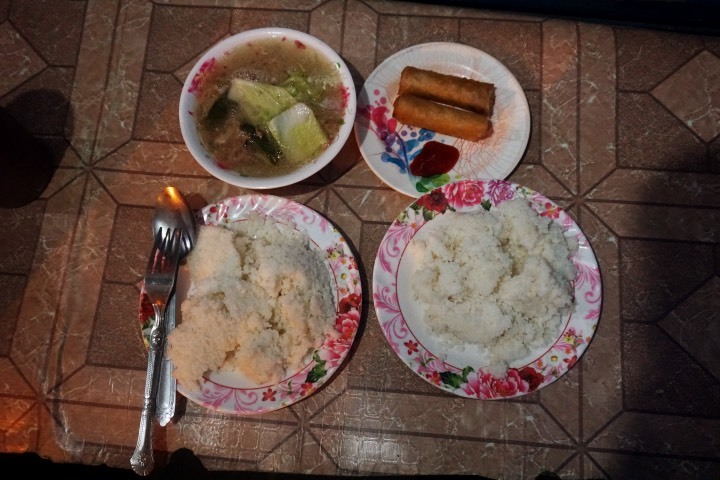 While many are asleep, I am having an awesome food trip. 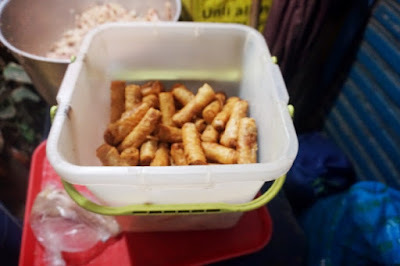 One of my recent discoveries is the super yummy Bakagan of Mandaue. If you ask your well-to-do Cebuano foodie friends, what Bakagan is, the question will probably be returned to you. Well, my short definition of Bakagan is that it is a soup dish made with the skull of the pig boiled for hours. This dish is characterized by a gingery broth with pulled pork-like meat that is very tender. Bakagan is perfect during the rainy season or after a drinking session. I am a soup guy. Cook me a good soup and we will be friends forever. The Bakagan's soup is perfect if you drank too much beer and you want to go home fresh and energized. This soup will wake you up and make you sweat out all the bad effects of alcohol. If I am alone, I basically order soup with meat plus rice or corn grits and I get an awesome $1 hangover fix. It is cheap which makes it addictive for some people. I have friends who want to have bakagan like every night. Bakagan is definitely cheap and good but eating this dish is also a sustainable dining practice. 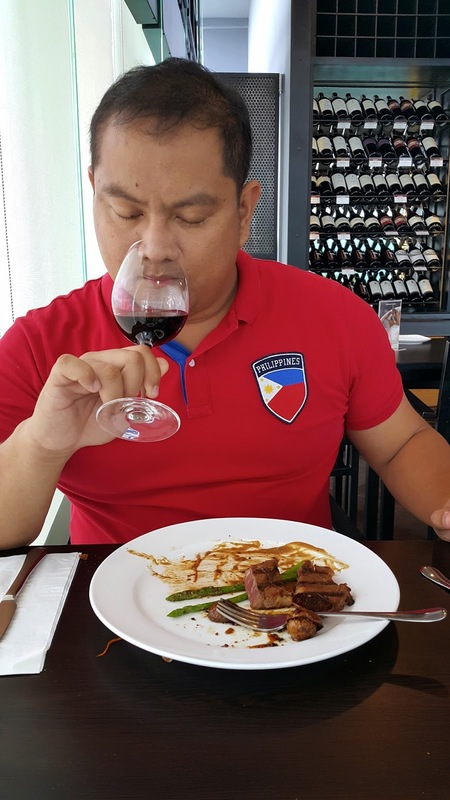 I have been a big supporter of #TheSustainableDiner and in reducing food wastage, By eating meat from cheap parts like the head we are supporting "affluent" culinary/sustainability concepts like zero waste dining and reduction of carbon footprint. I call these concepts affluent because, in reality, the people in lower income classes have been practicing these sustainable dining habits and they are not getting credit for it. 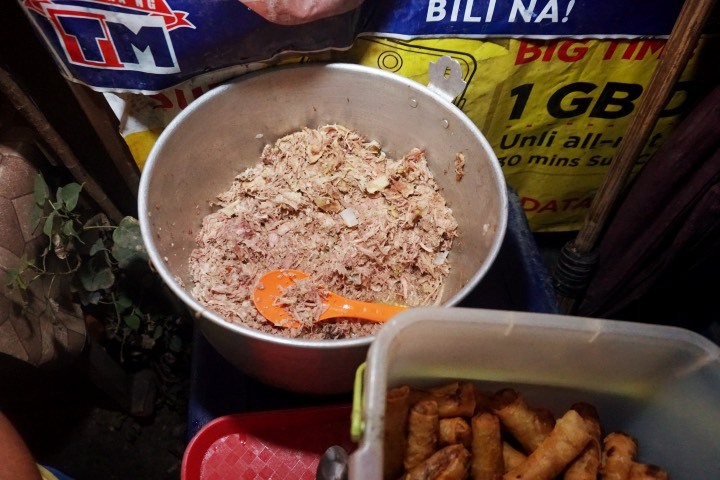 Instead of throwing the skull of the pig, the stall owners make it an awesome dish. A lot of Filipinos eat heads, innards, brains, ears, feet, and even eyes. One great example is the Bakagan. 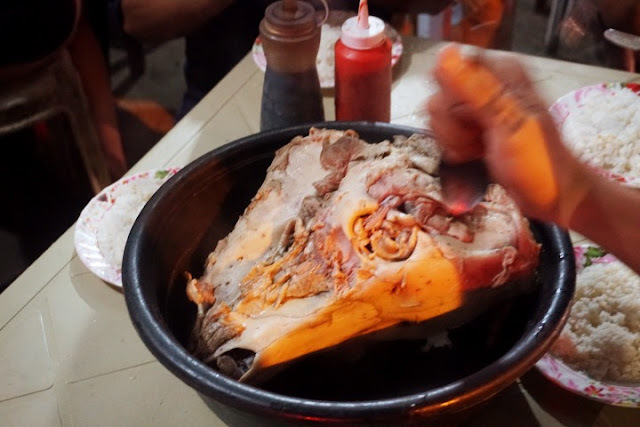 You can order a boiled skull of the pig for 250 pesos or $5 and you get to enjoy the brain, tongue, jaw meat and other good stuff that you can "scavenge" from the head. It is quite a unique experience if you are not into offal. The good thing though in the bakagan stall is that you have an option to just have the meat. 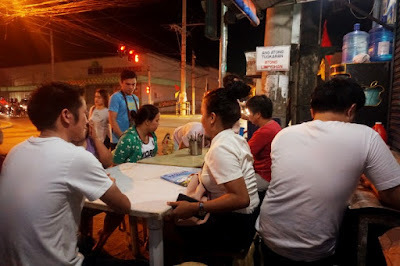 I know that this is not for everyone but if happen to look for an interesting gastronomic thrill in Mandaue City, Cebu, I will surely point you to the corner of A.S. Fortuna and Hernan Cortes Streets to try Bakagan. The stall only opens around 10 pm and it will close before sunrise. 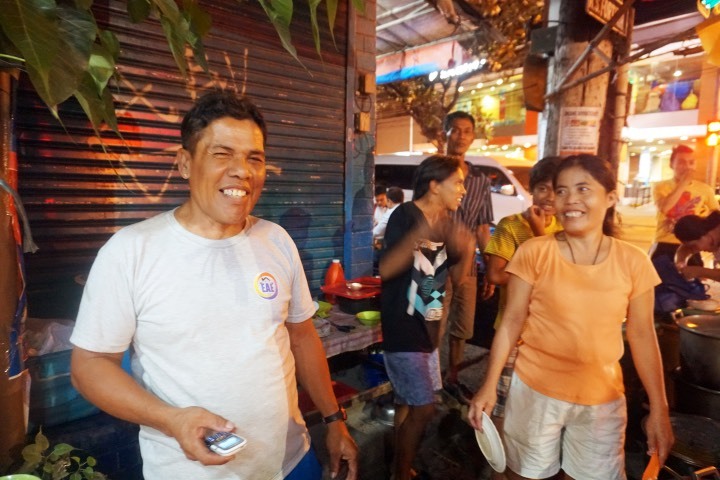 For me, it is one of my best local food discoveries in recent years. 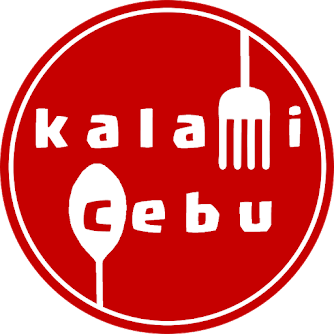 I am even going to add this to my top authentic local food in Cebu list. 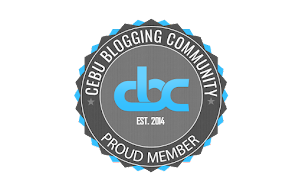 I hope to see you at the Bakagan Eatery! !